Moooooorning. We’re at Multiplay’s I41 this weekend and its rather good. 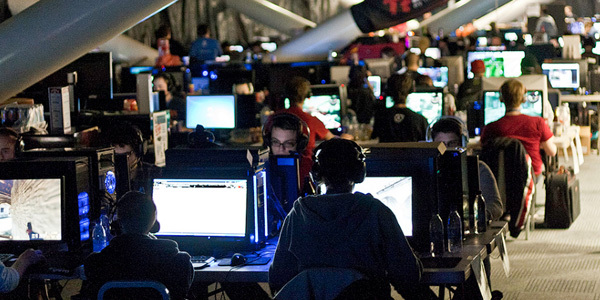 It’s the UK’s biggest PC gaming LAN event, where you bring your own pc along with 3000-odd other people, eat a ton of junk food and Red Bull, and of course play as many bloody games as you can possibly cram in. So far, Paul has played through the entirety of CODBLOPS singleplayer and we played through Unreal Tournament 3’s singleplayer campaign in co-op in 2 marathon sittings. If you like games, you’ll probably like it here. This entry was posted in News and tagged i41, lan, multiplay. Bookmark the permalink.